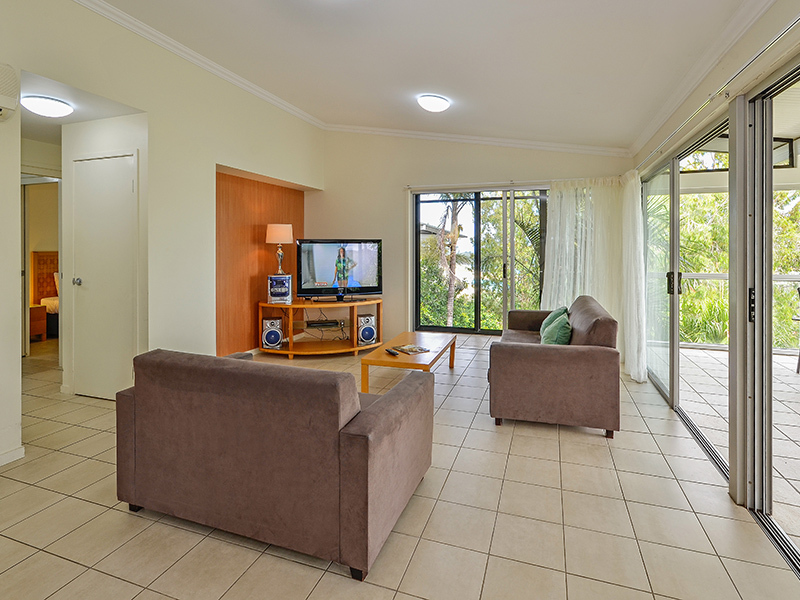 Two bedroom apartment in tranquil bush land. 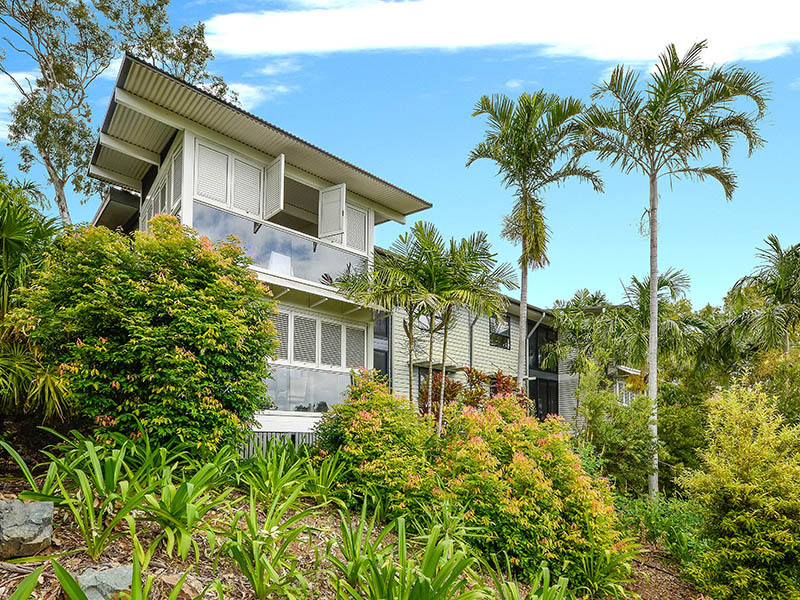 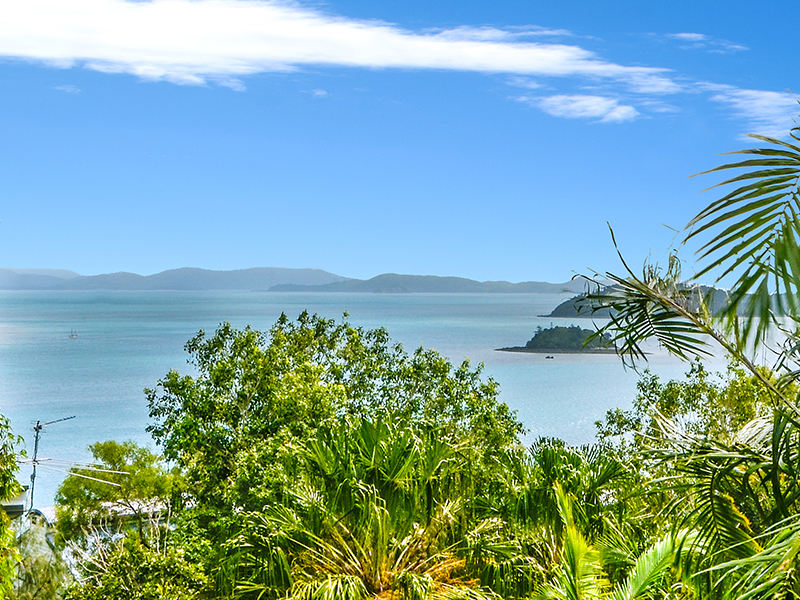 Enjoy peaceful bushland views from this two bedroom apartment, located just a few minutes from the Hamilton Island Marina. 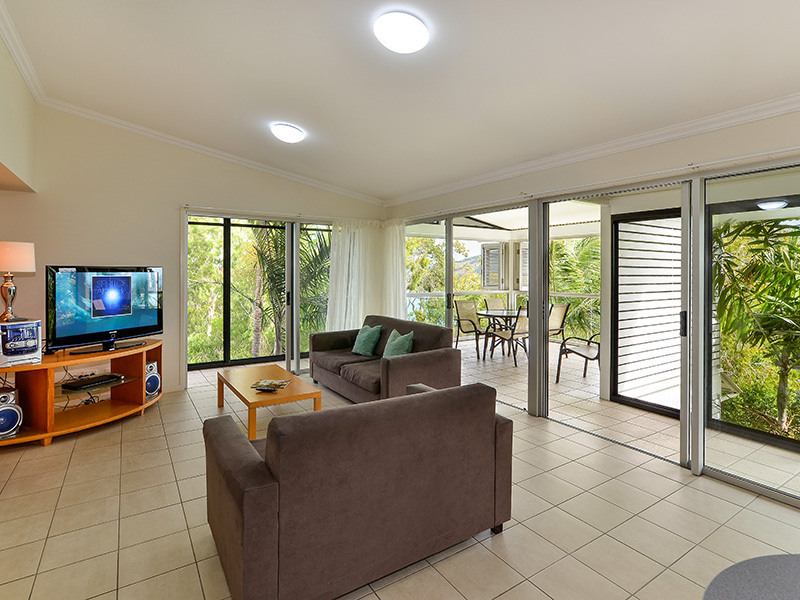 Fully air-conditioned, it includes a spacious living area that opens onto a furnished balcony, where you can enjoy the tropical sea breeze. 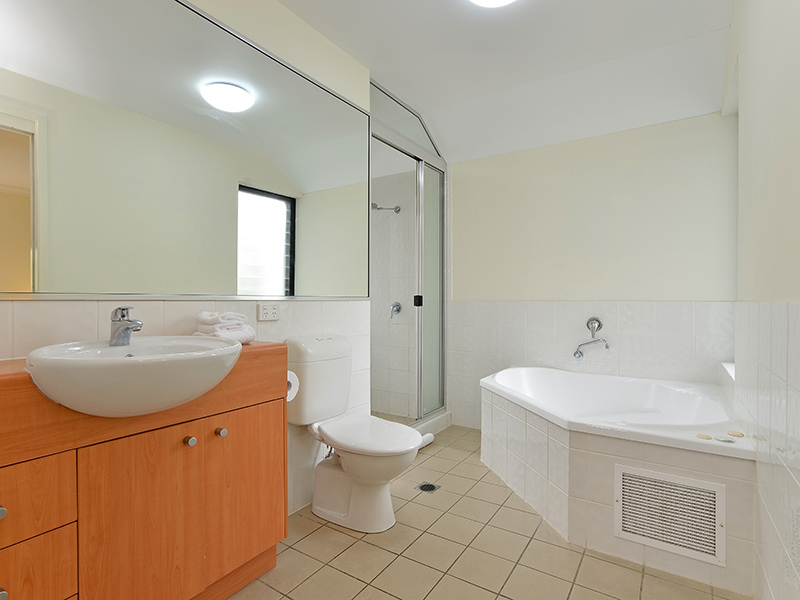 There is also a spa in the main bathroom. 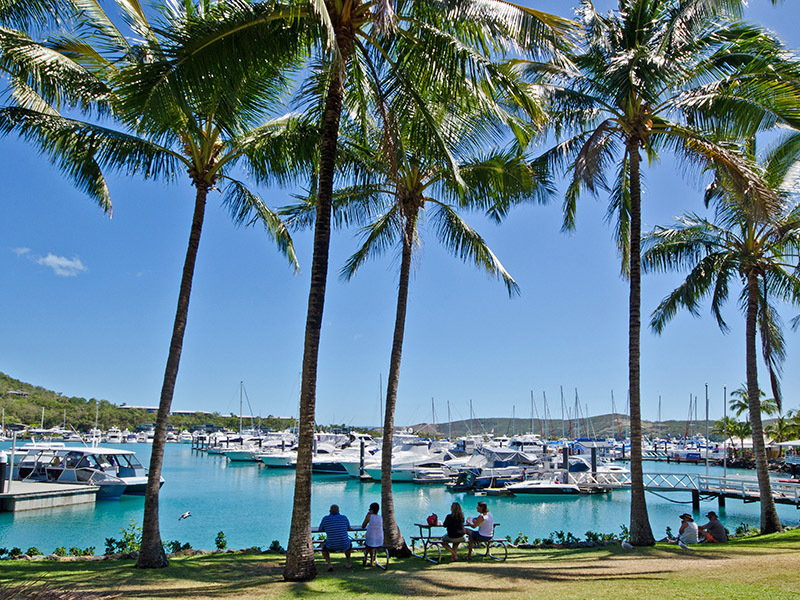 On the Marina side of the island, you're just a short walk to all the restaurants and cafes on Front Street. 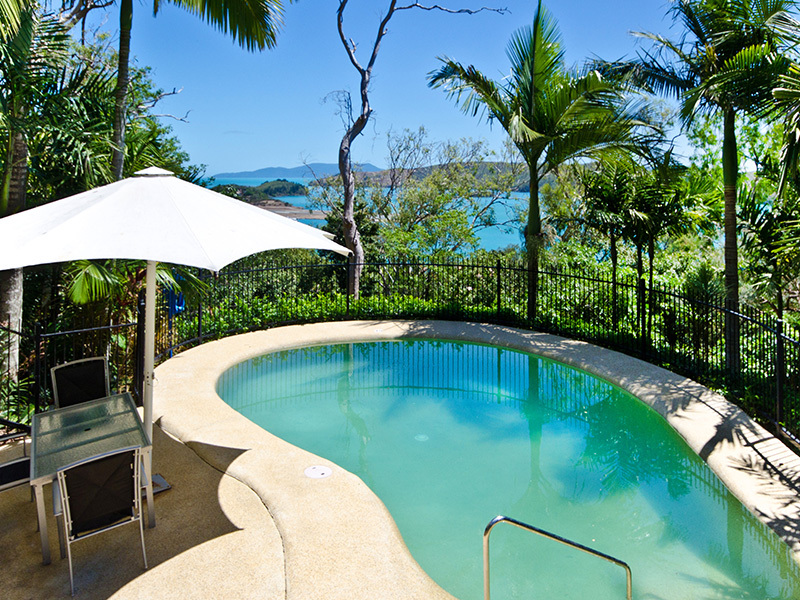 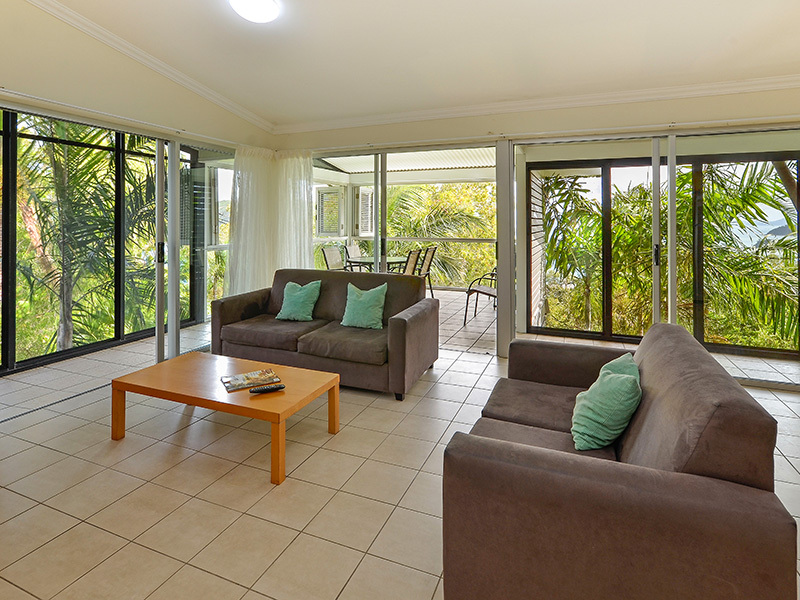 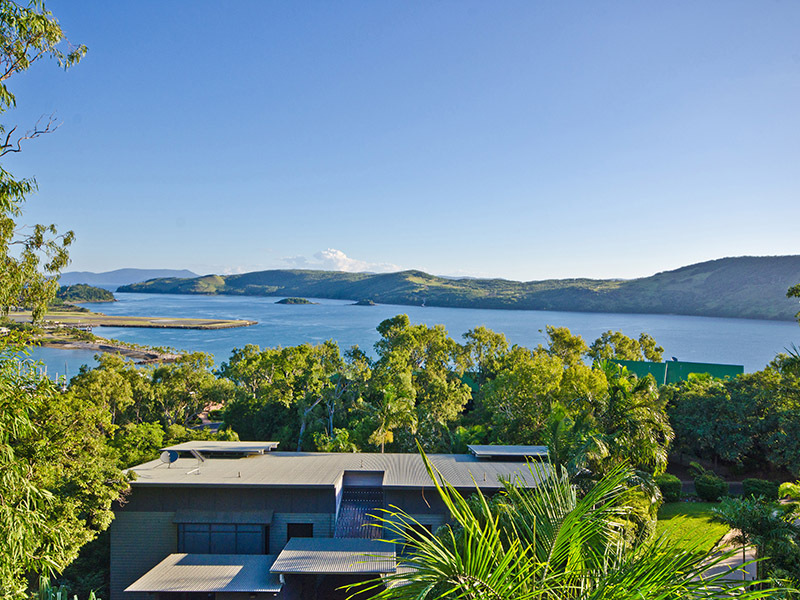 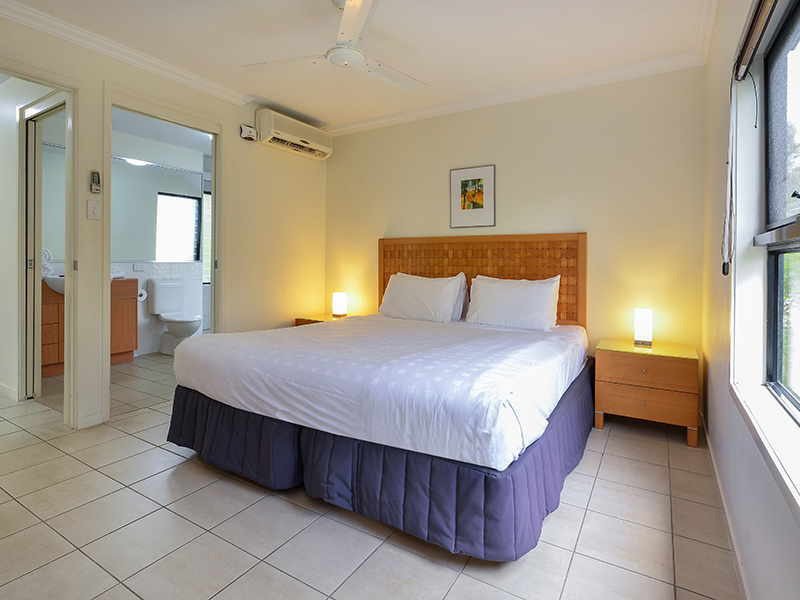 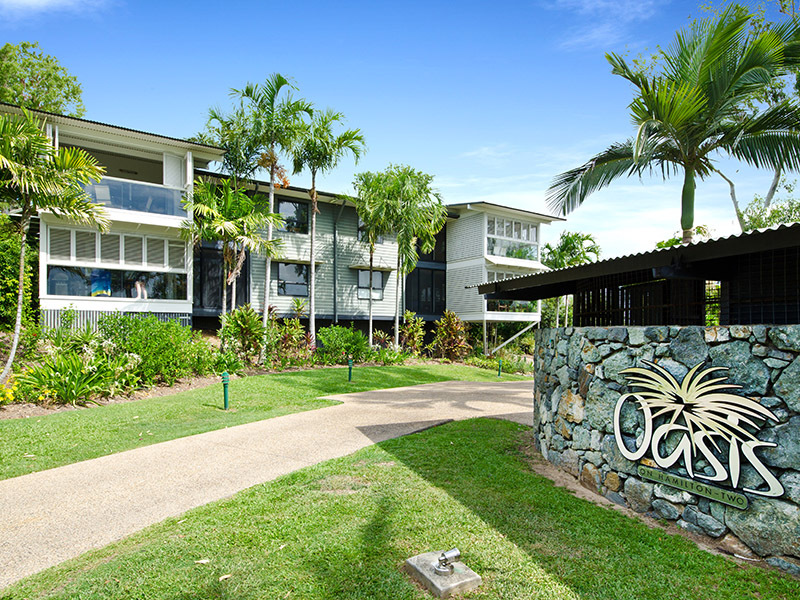 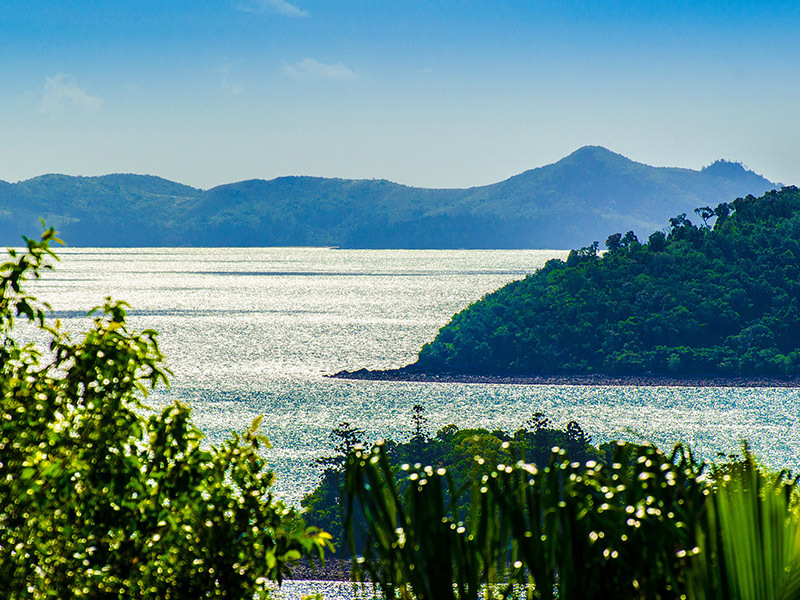 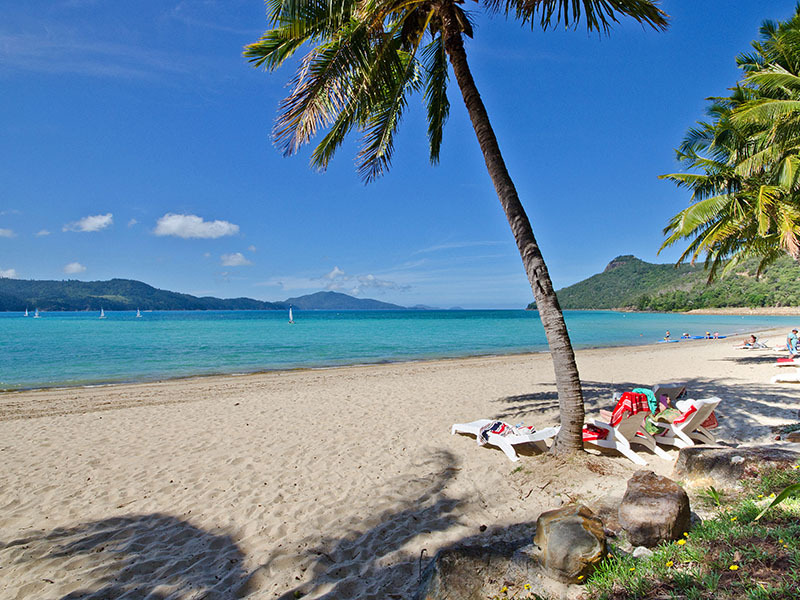 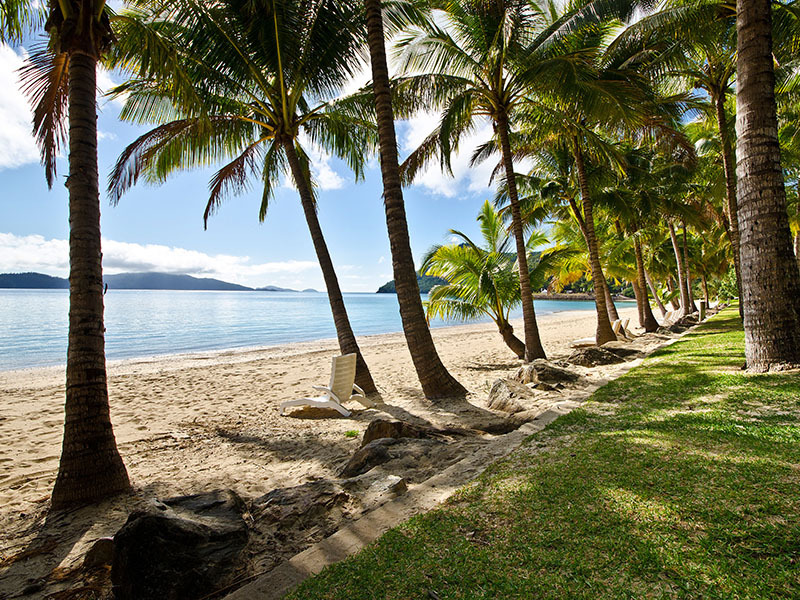 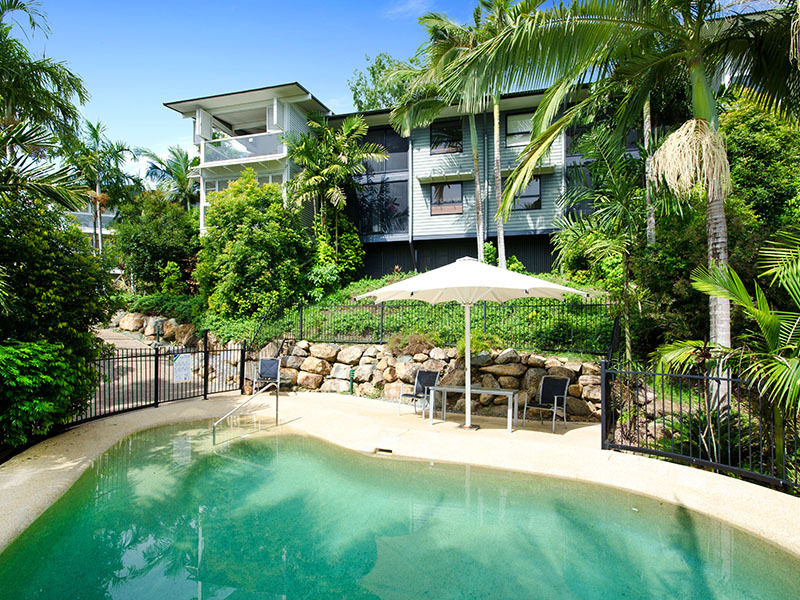 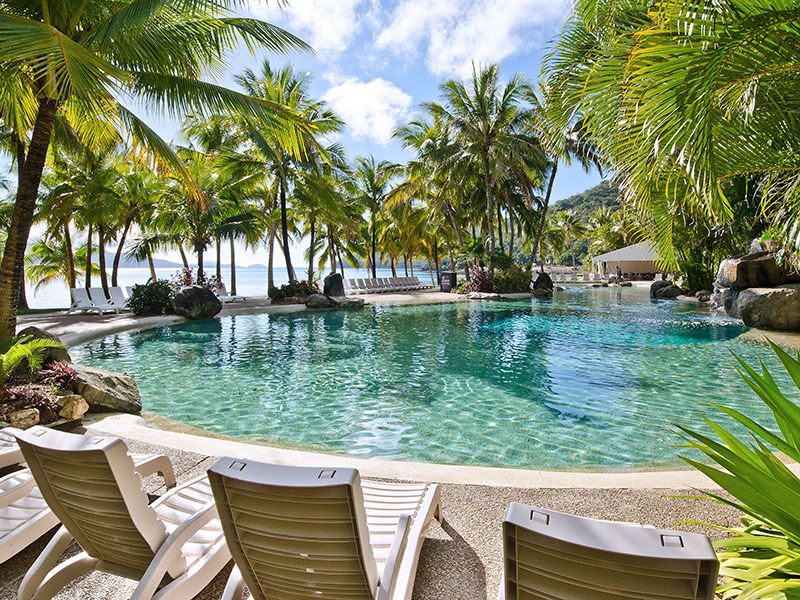 You're also within walking distance of the renowned Hamilton Island Yacht Club. 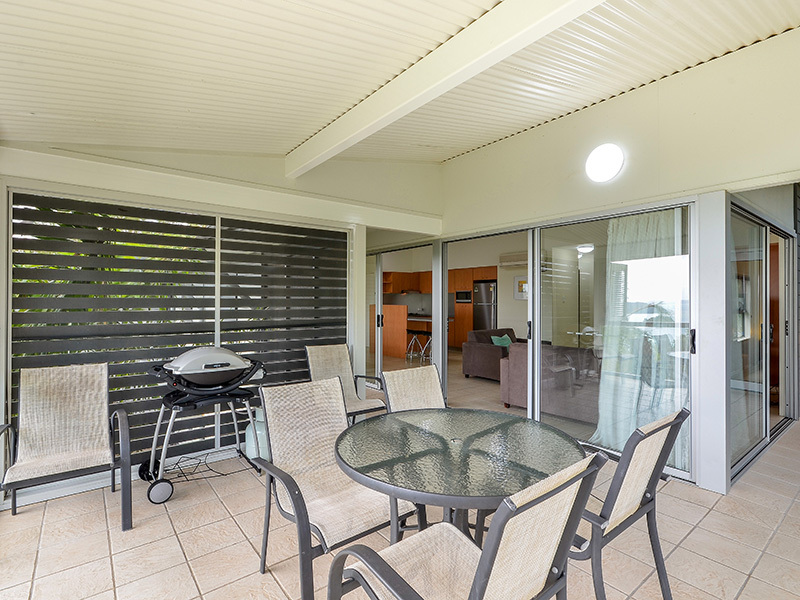 Relax on your unique indoor/outdoor BBQ entertaining area, which has an outdoor dining setting for six people. 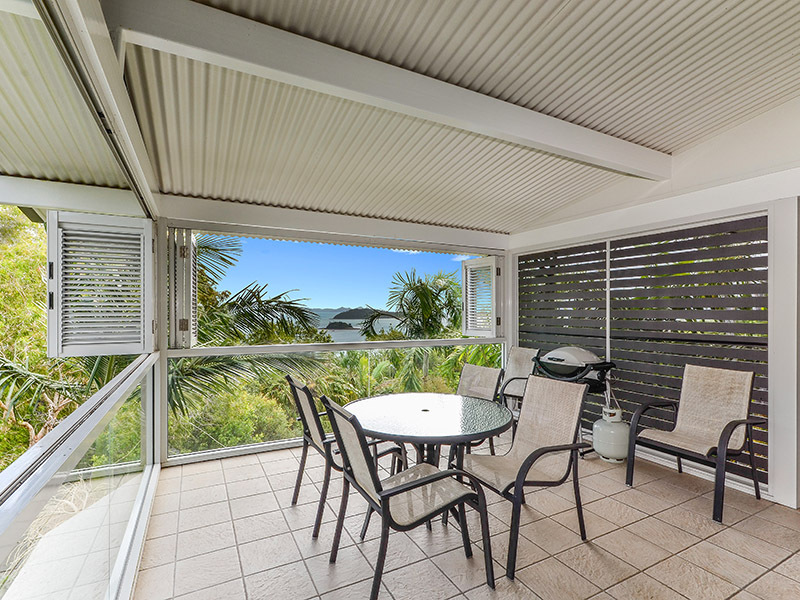 This enclosed area includes plantation shutters that you can close in cooler weather, or open right up in warmer weather to let in the sea breeze. 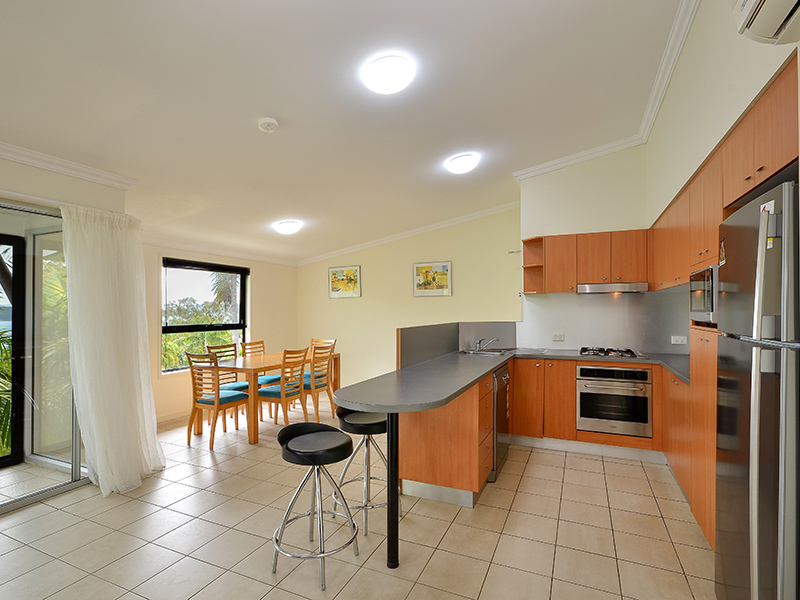 Flowing over one level, and with two spacious bedrooms, this apartment is ideal for a family. 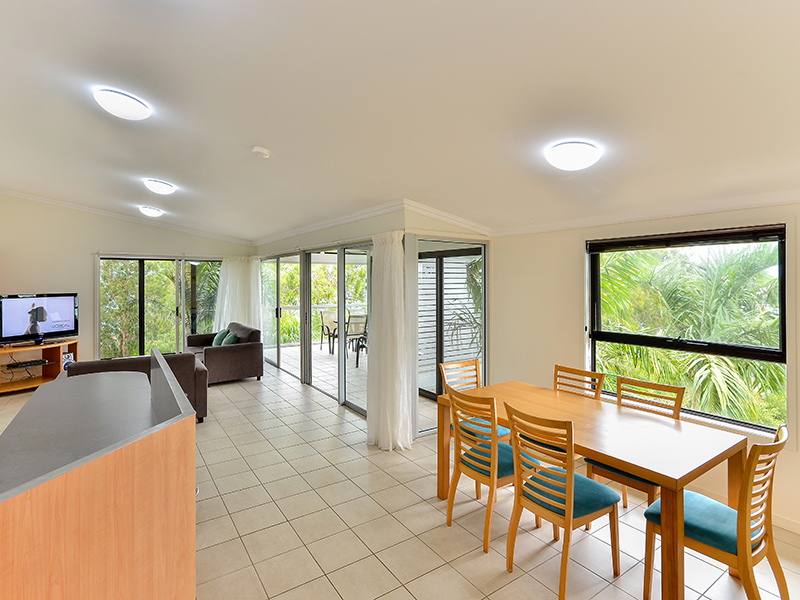 There are fifteen steps up to the front door. 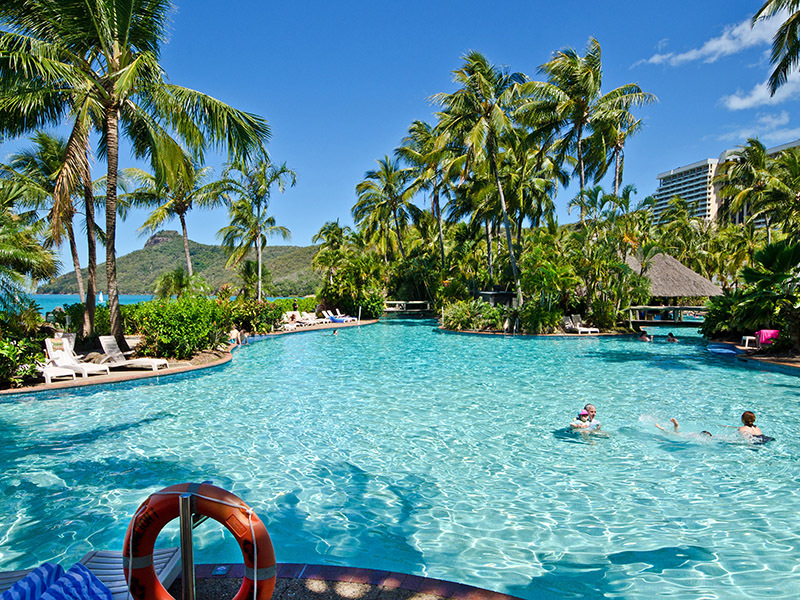 Guests have access to the shared Oasis lagoon pool. 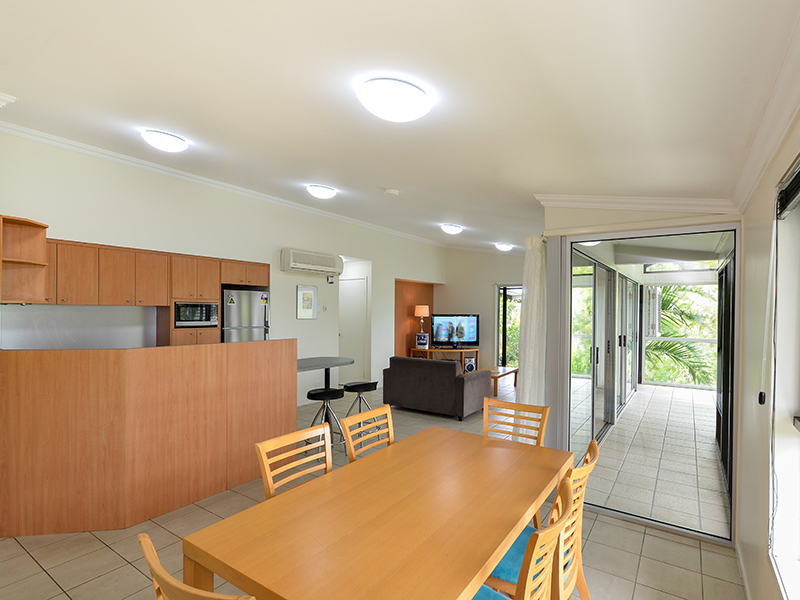 Enjoy beautiful views across the garden and native bushland. 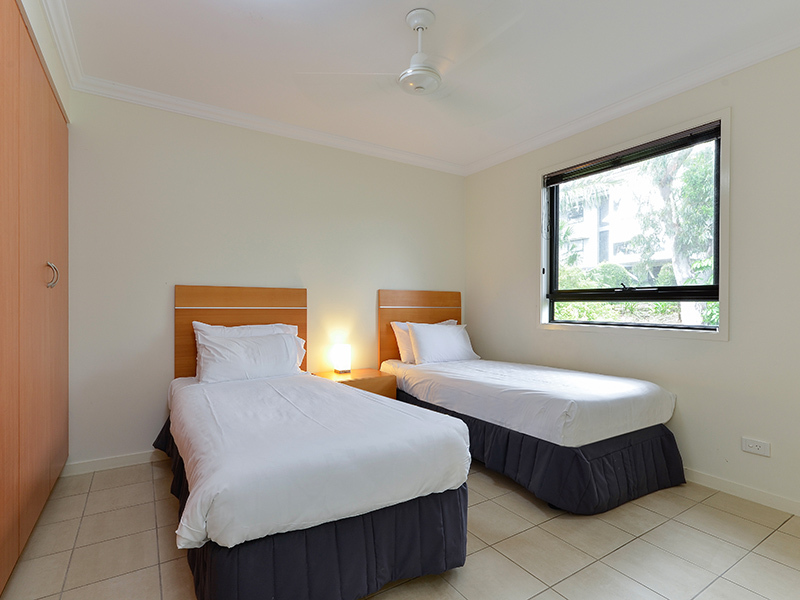 There are two spacious bedrooms - one with a king bed, and the other with two singles. 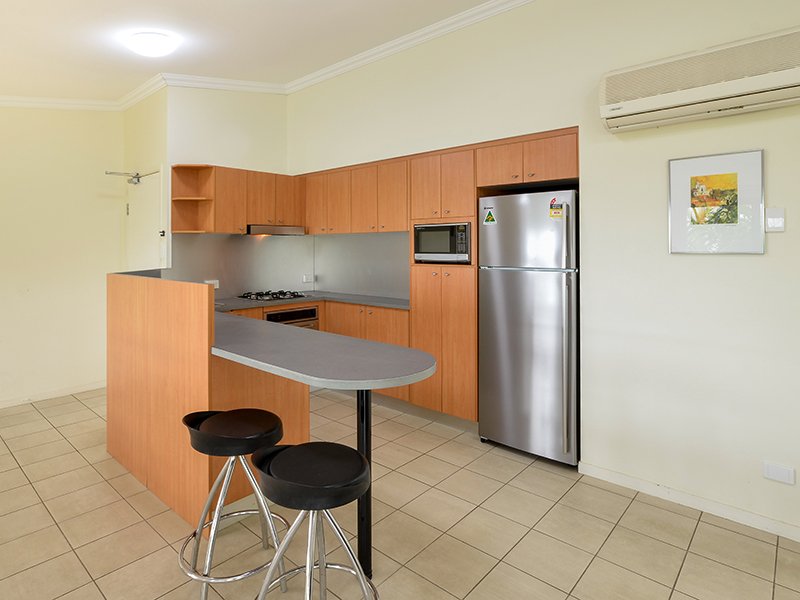 A fully-equipped, modern kitchen makes self catering a breeze. 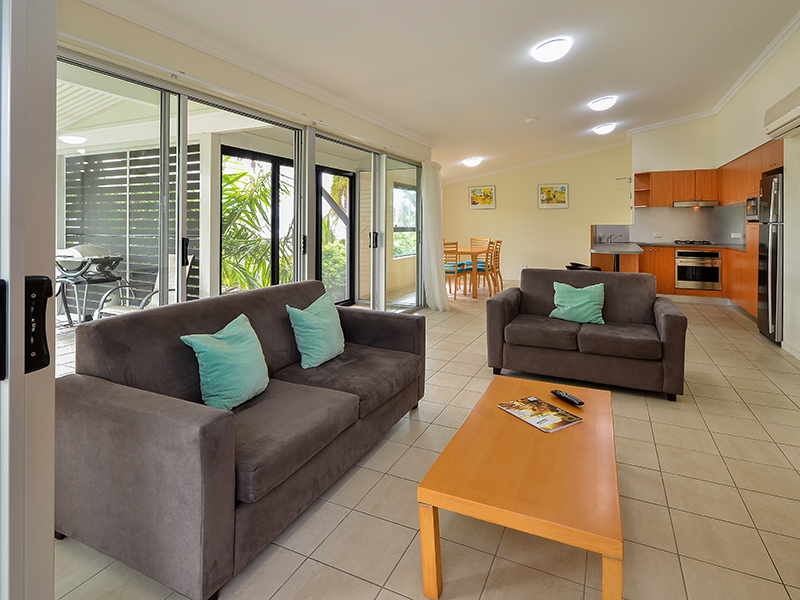 There is a double sofa bed in the lounge area - ideal for children or extra guests.